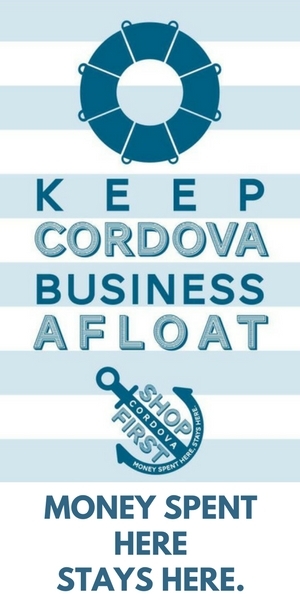 Whether you own a business or you’re just interested in helping make Cordova an even better place to live, work, and visit: YOU’RE INVITED! Join us Tuesday, February 26th for FREE APPETIZERS, board elections, exciting announcements of new events and programs coming to Cordova, and a Transportation Roundtable discussion! 5:15pm in the Community Room at the Cordova Center. Not a member for 2019? No problem! You can join or renew your membership at the meeting! Learn more about Chamber Membership here.